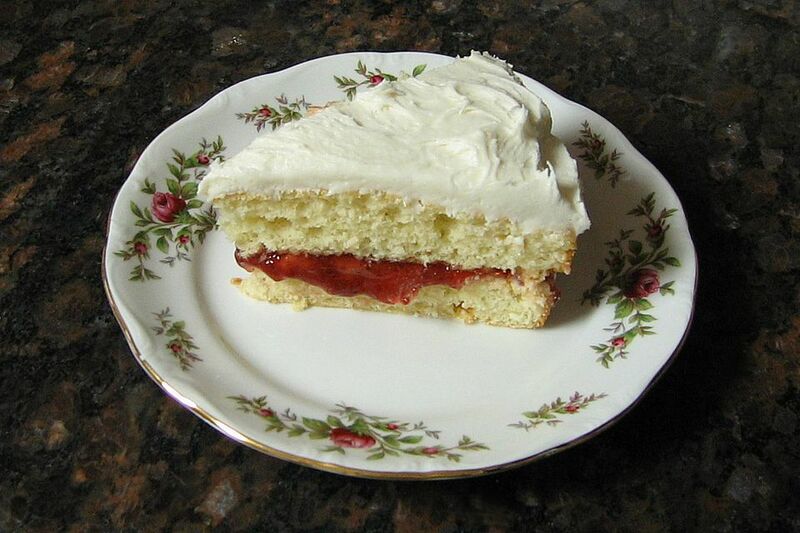 The heavy cream provides the fat for this cream cake recipe. Fill and frost the cake with your favorite frosting, or fill with a lemon curd or jam filling and frost with a creamy frosting. Beat eggs until thick and lemon-colored 5 minutes with electric mixer on high speed; gradually beat in sugar. Sift together the dry ingredients. Stir in sifted dry ingredients alternately with the cream and vanilla. Beat well. Spread batter in 2 greased and floured round 8-inch cake pans. Bake at 350 F for 25 to 30 minutes, or until a wooden pick or cake tester inserted in center comes out clean. Cool in the pans on a rack for 10 minutes before removing from the pans.